Real Property Management Sapphire is locally owned and operated by Robert and Tara Child, longtime residents of the Bitterroot Valley. In addition to being licensed and insured for property management in the state of Montana, Robert and Tara both bring unique and exceptional qualifications to the business. In addition to his property management experience, Robert has several years of property maintenance and construction experience and an MBA from Texas A&M University. Along with his credential he has extensive experience in bookkeeping and accounting, operational excellence, and business management. An office and property management professional, Tara Child has over nine years of experience in office operations, including supervisory and managerial roles. Specialties include bookkeeping, scheduling, contract negotiation, budget, and account management. She excels in interpersonal relationships and mediation. She has significant experience in tenant screening and approval, background checks and contract agreements, maintenance scheduling, and legal transactions and enforcement. We are proud to serve the communities of Hamilton, Corvallis, Victor, Stevensville, Florence, and Lolo. We stand behind our reputation as the nation’s local property manager. and manage local properties with the same expertise that is shown on a national level. 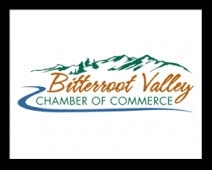 Of the over 250 offices nationwide, we are proud to serve the Bitterroot market.